This year’s calendar of major auctions continued March 7-10 at the Amelia Island auctions in Northwestern Florida. As one of the most anticipated auction events each year, this week was a chance to gain some insight into how market trends will play out throughout the rest of 2019. 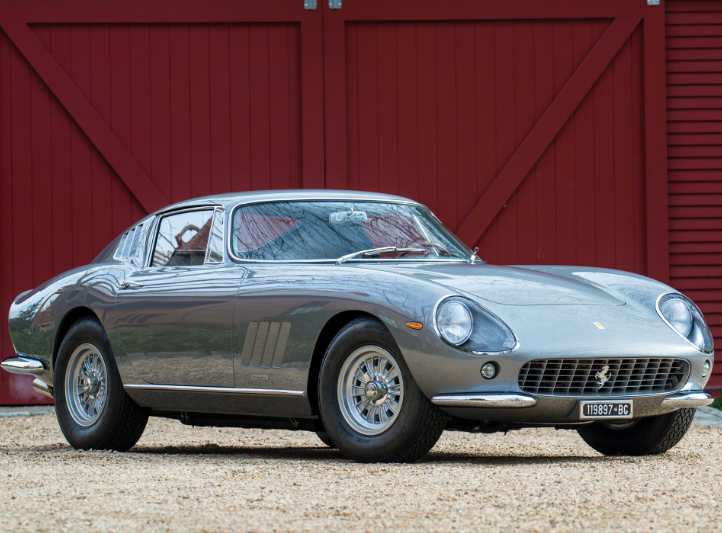 Amelia Island is typically heavy on Porsche and Ferrari sales with additional emphasis on rare classic race cars and other top-dollar consignments. The results from this year demonstrated solidity in the market — equaling about $80 million in total sales across the board. Compared to 2018, the total number of lots offered decreased from 487 to 452, but sell-through rate and average sale price increased to make up for the difference. Overall, even with fewer total lots, this year’s sales were close to equal those of last year. This year, the auction week ended with a solid 71% sell-through rate and $79.6 million in sales across all auction houses. The average sale price for the week came out to $247,906 from 321 total cars sold. *Note: Unsold lots may still be negotiated by auction houses. Any additional lot sales may change the totals for the week. Below is a look at how each auction house performed at Amelia Island this year. RM Sotheby’s is the official auction house of the Amelia Island Concours d’Elegance. The RM Sotheby’s bidding had strong attendance from Thursday through Friday, especially for one particularly sought after collection: the singer-owner Youngtimers. This collection featured a few cars that sold on the high end of their estimates, including a 1996 Nissan 300ZX Twin Turbo ($53,200), a 1989 Mercedes-Benz 560 SEC AMG 6.0 “Wide-Body” ($179,200) and a 1994 BMW 850 CSi ($184,800). 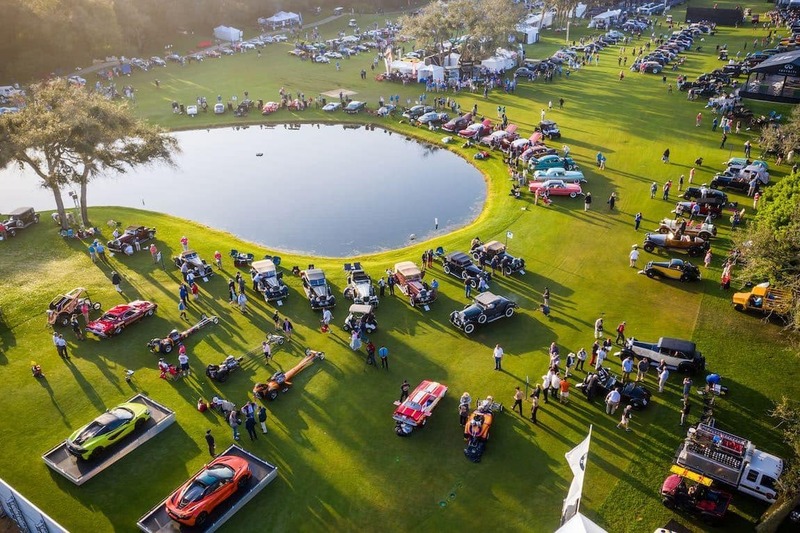 Running concurrent to the Contours d’Elegance, Gooding & Company hosted their 10th annual Amelia Island auction on March 10th. The total $22 million in sales happened all on one highly anticipated day. Gooding & Company is well known as the leader in Porsche sales. The top Porsche sale of the week came out of this auction house: a 2015 Porsche 918 Spyder Weissach ($1,490,000). Other notable Porsche sales included a 1993 Porsche 964 Carrera RS 3.8 ($1,132,500), a 1987 Kremer Porsche 962C ($1,022,500), and a 1984 Porsche 911 SC/RS ($687,000). 1930 Packard 734 Speedster Runabout. Photo: Gooding & Co.
Based out of the UK, Bonhams is an esteemed auction house that always offers something interesting to look at during major auction weeks. The top three cars sold by the house this year included two cars that broke the $1 million mark. 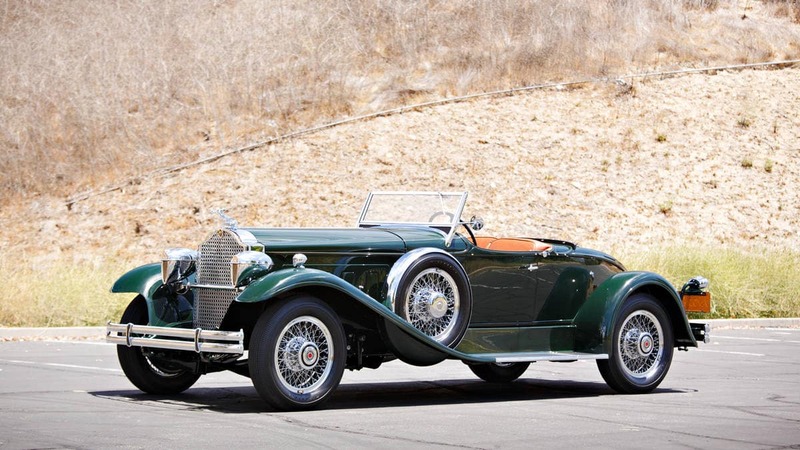 Bonhams’ gold, silver and bronze went to a 1930 Cadillac Series 452 Fleetwood Roadster, 2/4-p ($1,187,500), a 1968 Repco Brabham-Cosworth BT26 BT26A Race Car ($1,105,000) and a 1913 Mercer Type 35J Raceabout Roadster ($896,000). 1930 Cadillac Series 452 Fleetwood Roadster. Photo: Bonhams. 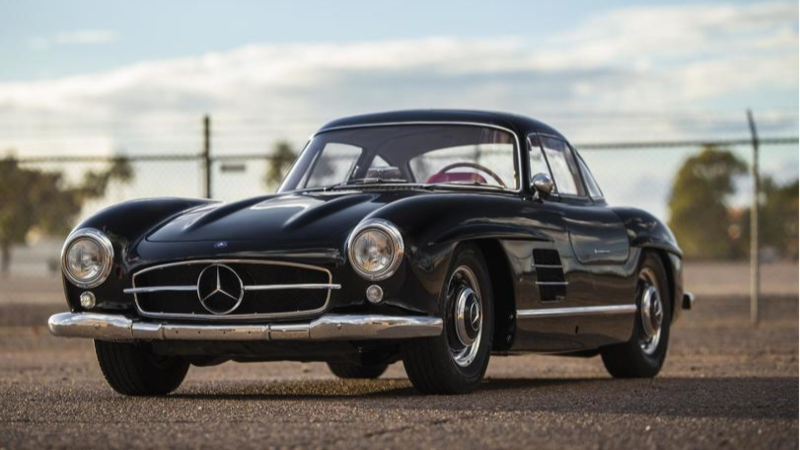 This Scottsdale-based auction house joined the list of Amelia Island participators for the first time this year. 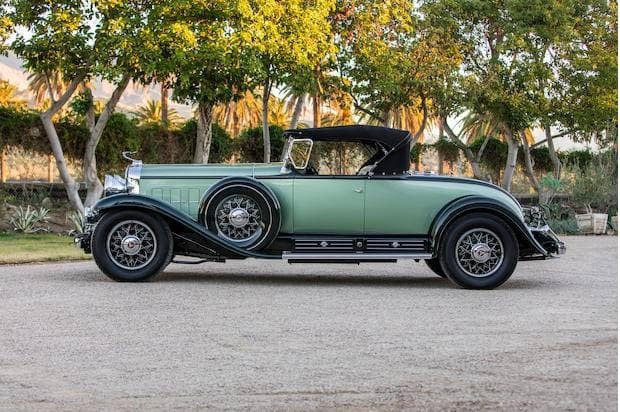 With Amelia Island on its annual calendar, Russo and Steele is now one of the auction houses with a significant presence at the major triad of Scottsdale, Amelia Island and Monterey auction weeks. At Amelia, Russo and Steele saw the lowest sell-through rate of the bunch, as well as the lowest average sale price. The top three sales on the block went to a 1956 Mercedes-Benz 300SL Gullwing Coupe ($990,000), a 1960 Ferrari 250 GT Coupe ($665,500), and a 1969 Ford Mustang Boss 429 SportsRoof ($231,000). 1956 Mercedes-Benz 300SL. Photo: Russo and Steele. Newer cars are still drawing lots of interest to a growing number of bidders, a good sign that younger generations of bidders are continuing to show interest in collecting. Over $1,000,000 sales are less frequent, and interest in these cars is mixed. We saw something similar in Arizona and at Barrett Jackson, as the ultra-high-dollar cars gave way somewhat to more accessible vehicles. To give this trend a number, we looked at Hagerty’s data ratios of million-dollar sales to million-dollar lots sold at Amelia Island auctions, which has changed noticeably in the past few years. In 2015, the sale-to-offering ratio of these cars was 0.85. Last year, that number was significantly lower at 0.54. This year, the ratio fell again as it dropped down from 0.54 to 0.43. A generational shift in the market can explain much of his trend as well as others. Younger buyers with less to spend on collectibles are bringing that ratio down, but at the same time they are keeping the industry relevant and helping it change with the times. The next major auction event of the year is from Barrett-Jackson, taking place April 11-13 in Palm Beach. For tickets and show information, visit Barrett-Jackson. For in-depth coverage of Barrett-Jackson Scottsdale, check out our definitive guide to the auction. For more info on cars, market analysis and upcoming events in the classic and luxury car industry, follow our blog at MarshallGoldman.com.